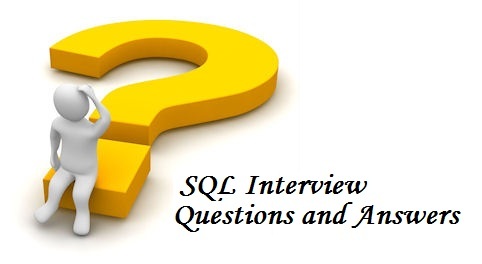 In this article I have posted SQL interview questions and answers for my visitors to help them in learning basic SQL. How can we add row number with selected records? Select the employee number and name who are earning comm. from their salary. Select the names of employees who are working in department number 10 or 20 or 40 and working as CLERKS,SALESMAN or ANALYST. Select commission from emp table and put NA in place of no commission. Select the Employee names whose name ends with an alaphabet S.
Select the maximum salary being paid to CLERK. Select the total salary drawn by an ANALYST working in department 20. Select the department numbers with more than three employees in each dept. Select the name of the employee who is earning highest salary. Select the employee number and name for employee working as clerk and earning highest salary among clerks. Select the names of the employees who is earning highest salary in their respective departments. Show the current ’15-Aug-2012′ as 15th wednesday August twenty twelve. Select the Employee name and Managers names. Select top 5 earners of company. Select the department name and total number of employees in each department. Increase salary of all managers by 10%. Delete duplicate department from dept table. How to eliminate the duplicate rows from a table? Create a table emp_tnp from existing table emp. Show all the records of emp_tmp table. I hope you learned some basics of SQL.